Not a member of Learn OmniFocus yet…or have you let your membership lapse? NOW is a great time to join! Sign up for an Annual Membership by Monday, November 26, 2018 and SAVE 25% ($15) on the first year of your membership. 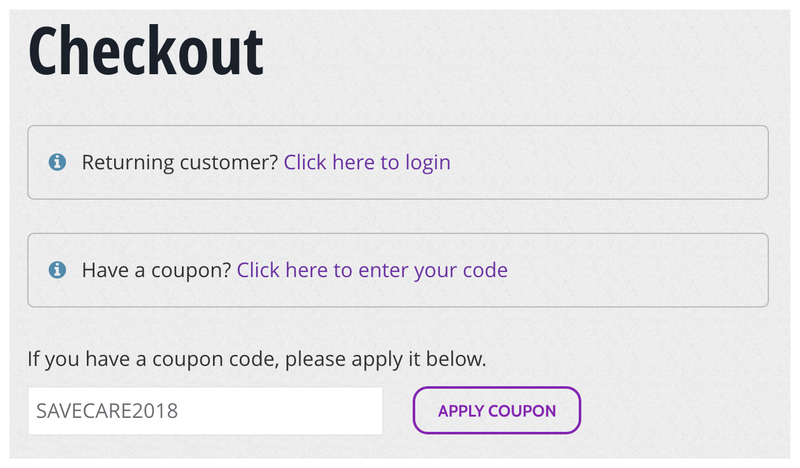 Enter the coupon code SAVECARE2018 at the top of the Checkout page to apply the discount. I believe in sharing the wealth with people and communities near and far. 20% of the income we receive from our Black Friday promotion will be donated to CARE Canada, a member of the CARE International federation. CARE are a leading international humanitarian organization with a mission to fight global poverty. They work with the poorest communities in 94 countries in a variety of ways, including improving basic health and education, enhancing rural livelihoods and food security, and increasing access to clean water and sanitation. They place a special focus on equipping women and girls with the resources they need to help families and communities escape poverty. To apply the promotion, sign up for an Annual Membership and enter the coupon code SAVECARE2018 at the top of the Checkout page. All of our memberships come with a 30-day money back guarantee.